Golf Scope provides the toolkit necessary to improve your putting and make the game winning shot with the help of Augmented Reality. GREEN MAP: See contours, elevation, and distance displayed in 3D on any putting green. BREAK LINE: View the break in augmented reality to line up the perfect putt. AIM TARGET: Know exactly where to aim, just like playing a video game. PUTT POWER: Set how aggressive you want your line to be. PUTT HISTORY: Track your putt efficiency to understand where practice is needed. RECORD: Record your putts to understand if you hit the right line and share great shots with friends. 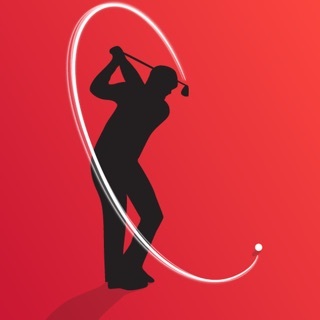 Try Golf Scope for free! Whether you’re learning how to better read the break or playing in a heated match, Golf Scope is an essential tool for any round of golf. Why wouldn’t you try it? It’s free! Download the app and sign-up for your 30-day free trial (for new customers). Golf Scope subscriptions provide unlimited use of all technology provided in the application. Without signing up for the free trial the app will not be usable. Payment is charged to the iTunes account at confirmation of purchase. Your account will be automatically charged for renewal at least 24 hours before the end of the current billing period. You can manager your subscription and auto-renewal by visiting your iTunes Account Settings. If you turn off auto-renew during the current subscription period, your subscription will be canceled for the subsequent period. Golf Scope loves hearing from its customers. If you have feedback or concerns, please reach out at help@golfscope.com and we’ll respond to you as quickly as possible. I have tried to believe in this. Really I have. It just doesn’t work. I’m trying to be nice in this review but it’s a green reading app that’s not actually capable of reading greens. Scan any putt and then scan it again from the same place and you’ll get a different read. Put a tee down, go through the process of scanning the ball and the hole. Then try it again and you’ll get a completely different read. If you’re not a very good player, you might be able to get them to upgrade because they won’t know the difference because they’re not capable of starting a putt 14” out on the left, but any good player will automatically realize that it can’t read greens accurately. I tried this on about 20 putts and it never came close to reading a single putt correctly. I even tried on obvious slope of 5% right to left and it read it as moving right. Also, who putts one handed? Maybe this is a play for integrated AR glasses in the future but again, without having accurate reads I only see this as a putter path teaching tool at best. Hello, I'm sorry to hear you're having trouble with the app. I assure you we wouldn't have released the app if the tech was consistently inaccurate, so I'd love to learn more about your experience and try to fix whatever is occurring. If you're up for helping us improve, please contact me at ryan@golfscope.com and I'll do whatever I can to help. Thanks in advance. I was amazed at the accuracy of the reads I got when I tried GolfScope a few weeks ago. I didn’t really believe the reads I got on a couple holes, but they were accurate. I have only one negative thing to report and I should preface it with this... My regular partners tend to play fairly quickly. Pros take more time to get their reads than this app requires, but I’m just a just a novice golfer who plays fairly loose and fast. I do think that many amateur golfers will not find the time expenditure to be a downside. I think every golfer who wants to work at reading their putts better should at least try this out for at least one outing. Take the time to see how it fits into your game. I had a dialogue with the developer recently. He told me that they are working to speed up the read process. As the app progresses, it’s only going to get faster and better! This is the first time I’ve been compelled to submit a review for an app. I thought there was no way that this could actually “read” the greens but I was completely taken aback by its accuracy! I’m a low handicap player who has been putting on the same undulating greens for 30 years. When I first downloaded the app I spent a hour or so just checking for accuracy and was completely blown away by the results. Obviously, there are many variables going on too read a putt correctly, but while testing the same exact putt over and over it consistently gave the same read. Of course this really can’t be used on a regular basis but it’s great to use for reading those tricky putts you always seem to have and then storing the results away in your mind for the next time you’re faced with that same putt. Also kinda great to have for scramble events! Requires iOS 11.3 or later. Compatible with iPhone 6s, iPhone 6s Plus, iPhone SE, iPhone 7, iPhone 7 Plus, iPhone 8, iPhone 8 Plus, iPhone X, iPhone XS, iPhone XS Max, iPhone XR, 12.9-inch iPad Pro Wi-Fi + Cellular, 9.7-inch iPad Pro Wi-Fi + Cellular, iPad Wi-Fi + Cellular (5th generation), 12.9-inch iPad Pro Wi‑Fi + Cellular (2nd generation), 10.5-inch iPad Pro Wi‑Fi + Cellular, iPad Wi-Fi + Cellular (6th generation), iPad Pro (11-inch) Wi-Fi + Cellular, iPad Pro (12.9-inch) (3rd generation) Wi-Fi + Cellular, iPad mini (5th generation) Wi-Fi + Cellular, and iPad Air (3rd generation) Wi-Fi + Cellular.